The humans are having a pawesome time in Australia! Today (even though I think they’ve now moved into tomorrow!) 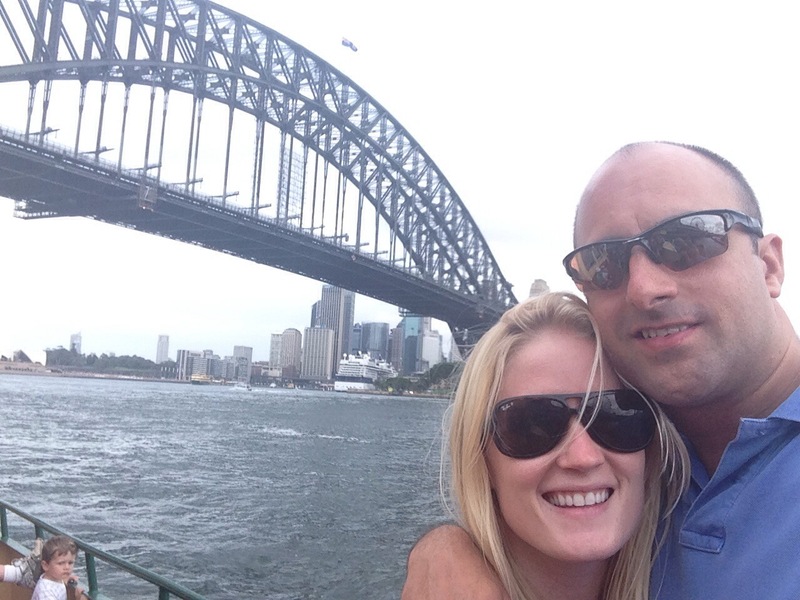 they’ve been sightseeing in Sydney. 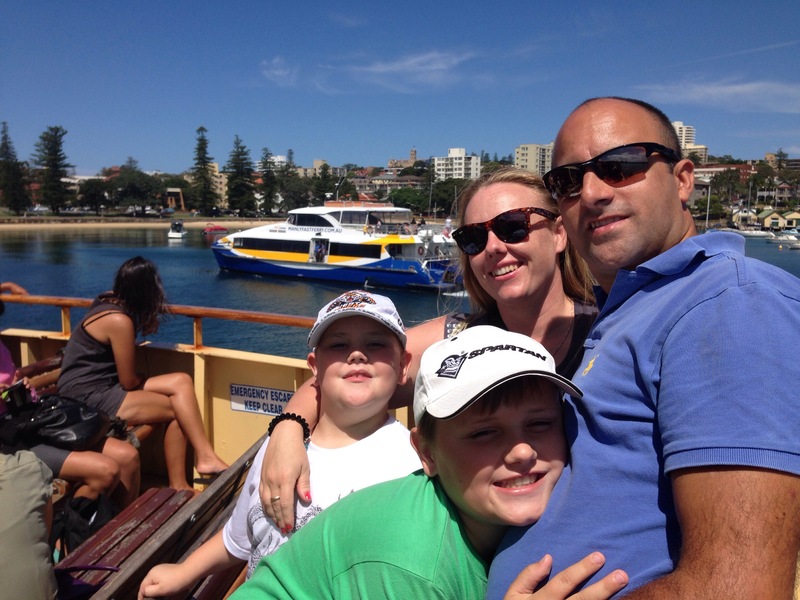 Dad loved showing mum where he grew up and they had a great day out with Kathryn, Marcus and Jayden on the ferries and around the water! They were full of excitement on the phone telling me how much they’re enjoying Sydney. I must admit when I look at the photos they sent me, I think it looks purrfect and I would really like to sail there one day. I’m still having fun at cat camp but I’m slightly jealous that I’ve not been out on the water today too! I’m going to dream of being out on Nocturne instead! « Happy at the helm! what a great sightseeing 🙂 🙂 🙂 !!! Awesome! I wonder how mum and dad met? 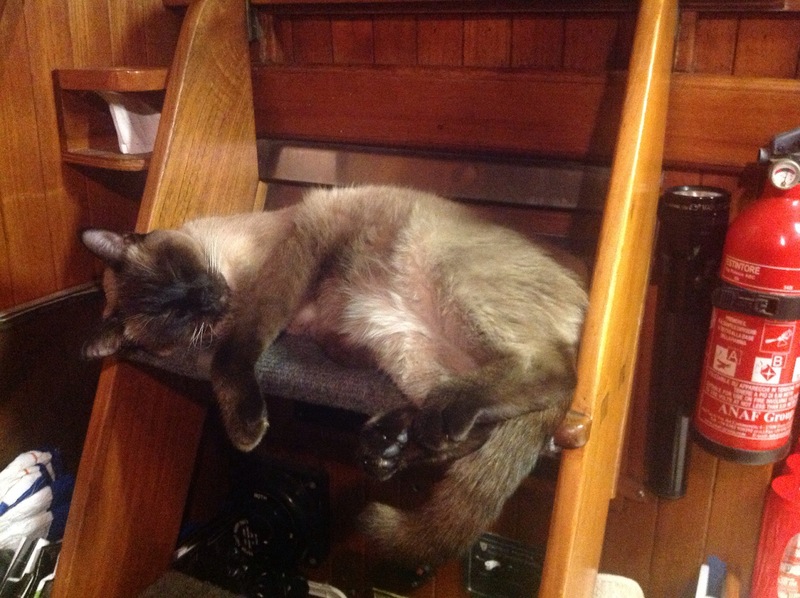 Sweet sailing dreams Bailey. What a fabby time they’re having. They just missed Bashful who was there with Fozziedad only yesterday! 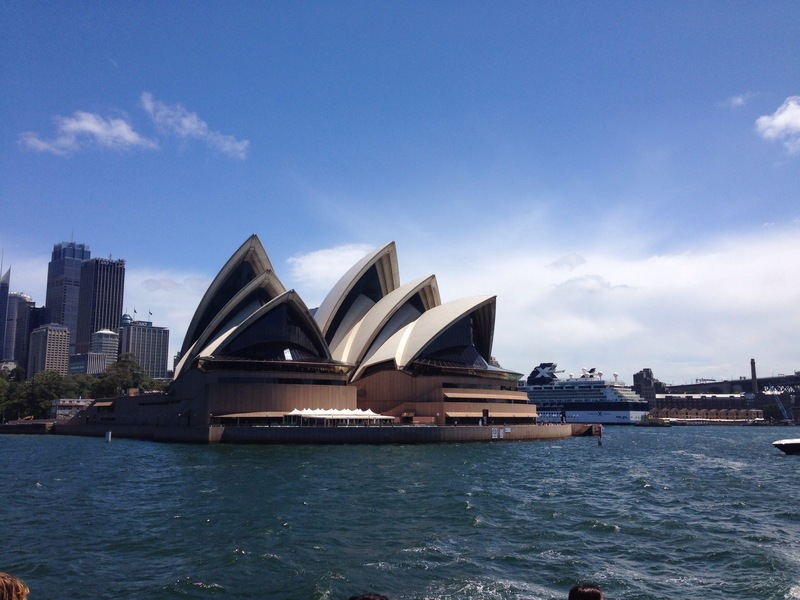 One can certainly tell where they are from the Armadillo Building … er, Opera House! how dare they have such fun without you? Looks like your humans are having a great time! Hope you’re having a fun time at camp, Bailey! Bailey, my mum grew up in Sydney too. Well actually Manly. My mum has shown me photos that are exactly like yours. And she used to catch the ferry every time she went into the city. 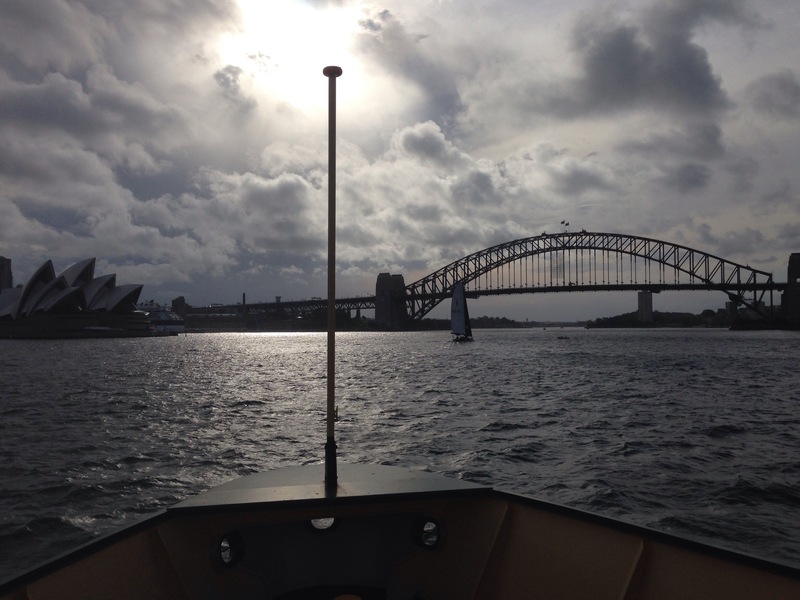 When you start sailing around the world you will love sailing into Sydney Harbour. My mum says there is no harbour like it in the world. She could be a bit bias though. It does look like your humans are having a great time. It looks like the humans are having an amazing time! Sydney is pawsome, Bailey. You are missing a treat. Looks like they are having the most fun! Bailey it looks like your pawrents are having a pawsome time in Sydney…..I have to remind myself that while it’s turning cold and is Fall here, it’s Spring and warm there! Lucky them…..I know they miss you though – who wouldn’t ??!! 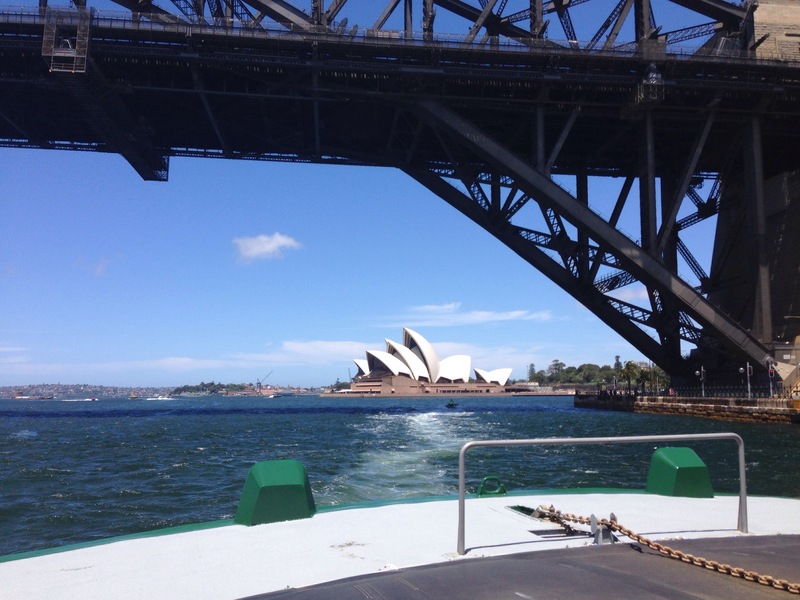 Pawsum picciez of Sydney…me can see ya sailin dere wif da Pawentz fer shure!!! We iz hopin yer dreemz of Nocturne are comfertin while ya iz in kitteh camp..